Oh fudge! How I’ve missed you, let me count the ways..
Next Post Hot chocolate… found it!! Thanks for the reminder. Fudge is one of those I had given up when I stopped dairy. Will be trying this one before xmas. You should:) it was really so good. 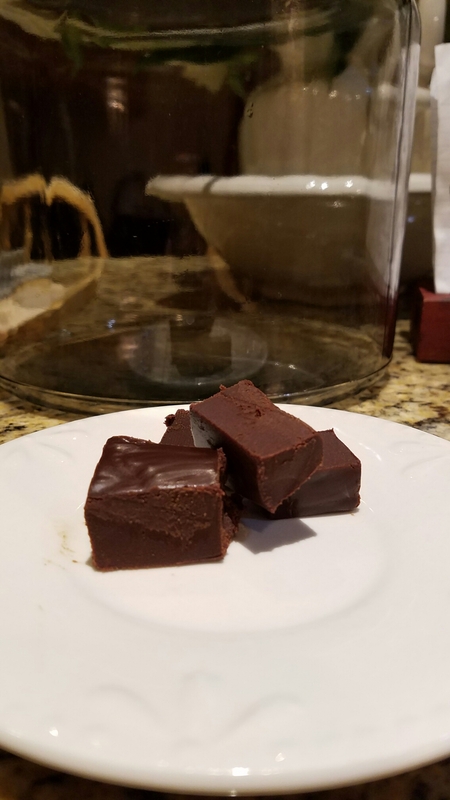 I have made a failed attempt at dairy free fudge some years back..it was a gooey mess! I think the marshmellows in this recipe and the boiling for 5 minutes is the key! I’ll watch out for that ! Have you done a peanut butter variation ? I think that would be delicious! I can’t have peanuts, but I wonder if you put the peanut butter in the same time as the chocolate chips if that would work! I bet it would. I was going to try mint chocolate next and so it would taste like a mint truffle..I miss those! What a masterpiece Thanksgiving dinner you created!!!! Complete with fudge!!! !